See a variety of demonstrations, participate in test drives and see new technology in action. Scroll for large scale field demo details, crop plot information, livestock programming and other exciting features. Canada’s Outdoor Farm Show is pleased to welcome the Innovations Showcase. This new program will make it easier than ever for farmers to find the latest ag technology and innovation at the show! Farmers Edge and Farmtario and Country Guide partner to present the Knowledge Tent area. This educational and information feature will provide factual information about agronomy and farming practises, as well as advice for keeping fit and healthy, and touch on farm succession planning. See the most comprehensive display of new seed and crop technology impacting corn and soybean varieties, with many demonstrating the newest biotech and gene-stacking technology. See and compare crop inputs plots under real field conditions from PRIDE Seeds, Dow Seeds, Horizon Seeds, DuPont Pioneer, Sevita International, Country Farm Seeds, DEKALB Brand Seeds/Monsanto, Maizex Seeds, Dow AgroSciences, Ontario Soil and Crop Improvement Association, Elite Agromart Seeds and Alpine. See what each company in showcasing in their plot. FCC Livestock Central is home to exhibits and features spanning dairy, beef, sheep and more. From the large herd operator to those who casually keep livestock, visit Canada’s Outdoor Farm Show for the latest in feed, equipment, handling techniques and supplies. Farmtario is the media sponsor for FCC Livestock Central.  Canada's Outdoor Farm Show hosts over 100 livestock specific exhibitors in Livestock Central. Find these exhibitors outside, in the EastGen dairy Producer Pavilion and in the Livestock Pavilion, sponsored by Farmtario. Catch the latest dairy technology up close and in action at the DIC. Come see DeLaval’s integrated robotic solutions including robotic milking, automated feeding, cow health monitoring and body condition scoring camera. The DIC highlights the latest innovations in dairy production and is sponsored by BriteSpan Building Systems, Lely, DeLaval, Agrilight, Shur-Gain, Faromor, FCC, Kubota, Dow Seeds, Norwell Dairy Systems, Ontario Dairy Farmer magazine, Promat, Stubbe’s Precast, Supreme Mixer/Brodie Ag & Walker Dairy. Traceability and safe, effective cattle handling are two important issues for all cattle operators. Brussels Agri Services will demonstrate the Arrow Cattle Handling System and the benefits of the Gallagher TSI and HR5. An ongoing tradition at Canada’s Outdoor Farm Show is the Hi-Hog Cattle Handling Demonstration. With the assistance of live cattle, these sessions walk farmers through the features of the Hi-Hog cattle handling equipment step by step. Visit Grober at the Grober Young Animal Development Centre to have an up-close look at equipment and learn about the newest nutritional technology in Grober’s milk replacer. Dairy Day is Thursday September 12th! Invited dairy producers & their families are welcome to enjoy a complimentary breakfast sponsored by agricultural companies committed to Canada’s dairy sector. If you’re 39 or under, you could qualify for up to $1 million to purchase a farm or other business-related assets. New for 2017, you can take advantage of reduced down payment requirements, and don’t pay a cent in loan processing fees. Visit our booth to learn more. Many farm owners manage woodlots in addition to crops & livestock. The professionals to guide attendees in proper management & equipment can be found in this popular expo on South Mall. Full of action, come see ongoing demos featuring sawmills, chain saws, wood splitters & related equipment. Canada's Outdoor Farm Show is proud to be a host location for the 3rd Annual Great ON Yield Tour in August. The Yield Tour team assess growing conditions, cropping challenges, opportunities facing Ontario Farmers in 2018 and the “boots-on-the-ground” team will make agronomy and marketing recommendations on how to face this year’s crop season. The tour takes place the last two weeks in August, when the team is out in the field taking samples. At the end of the Great Ontario Yield Tour, the team will be estimating corn and soybean yields in Ontario for 5 regions: South, East, Central, West and North.